“I realize now that dying is easy. So, to start off this blog I feel that the best way to kick things off is by reviewing the book I read most recently. 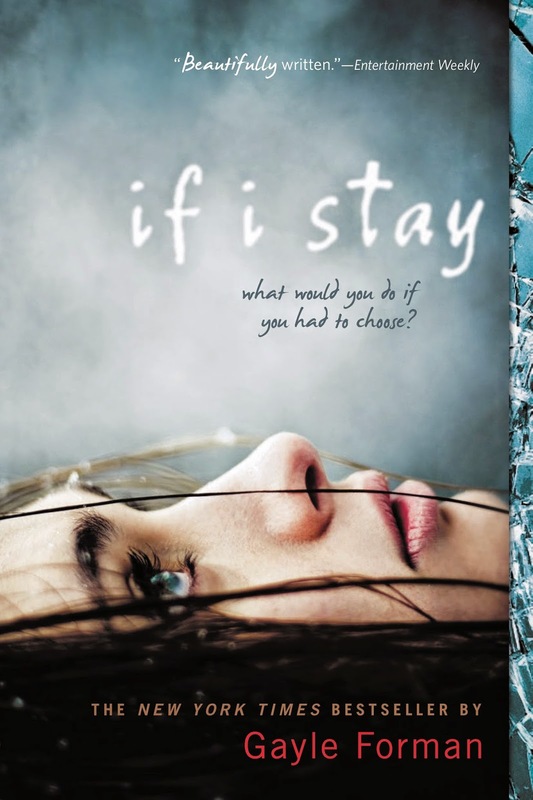 If I Stay by Gayle Forman is a YA fiction, for those of you who do not know what YA stands for, it stands for young adult. Now, I am going to try to review this in a way that does not give away any important information. Let us see how this goes. If I Stay was defiantly a book I got emotionally invested in, and although the narration of the story was not all that accurate I still felt completely involved. The novel is told from the view point of Mia Hall as she astral-projects (meaning she is outside of her body) and describes all the things that are happening. The way the book is set up, it goes from the current time in the novel to flashbacks and back again. I found this to be a very creative way of writing and I enjoyed the fresh outlook on narration in the story. The novel itself was a roller coaster of happy moments and sad moments. For those of you planning on reading this I feel it is very important to share with you what the book is about, here is a brief overview which I gathered from the back of the book. Mia had everything: a loving family, a gorgeous, adoring boyfriend, and a bright future full of music and full of choices. Then, in an instant, almost all of that is taken from her. Caught between life and death, between a happy past and an unknowable future, Mia spends one critical day contemplating the only decision she has left- the most important decision she’ll ever make. There are no better words to describe this book than heart-wrenchingly beautiful. If I Stay tugs on your heart strings and has you turning the pages at a rapid pace. Once you finish it you really have a new outlook on your own life and you realize all you have to be thankful for. I highly recommend this book to anyone who is looking for a good uplifting, enchanting and emotional story that will get your tears flowing. Sometimes you need that small reminder of all the good you have in your life and reading If I Stay will remind you for sure.